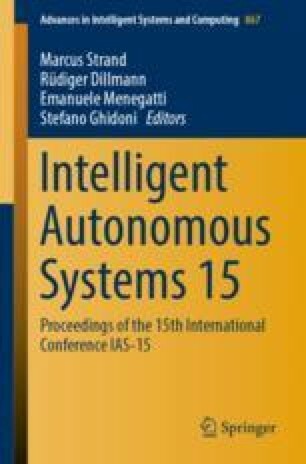 Human imitation is suggested as a useful method for humanoid robots achieving daily life tasks. When a person does demonstration such as housework many times, there is a property that the variance of the hand trajectory in object-centric coordinates becomes small at the stage of acting on the object. In this paper, we focused on human demonstration in object-centric coordinates, and proposed a task segmentation method and motion generation of a robot. In fact, we conducted a experiment (by taking a kettle and moving it to a cup) with the life-sized humanoid robot HRP-2.